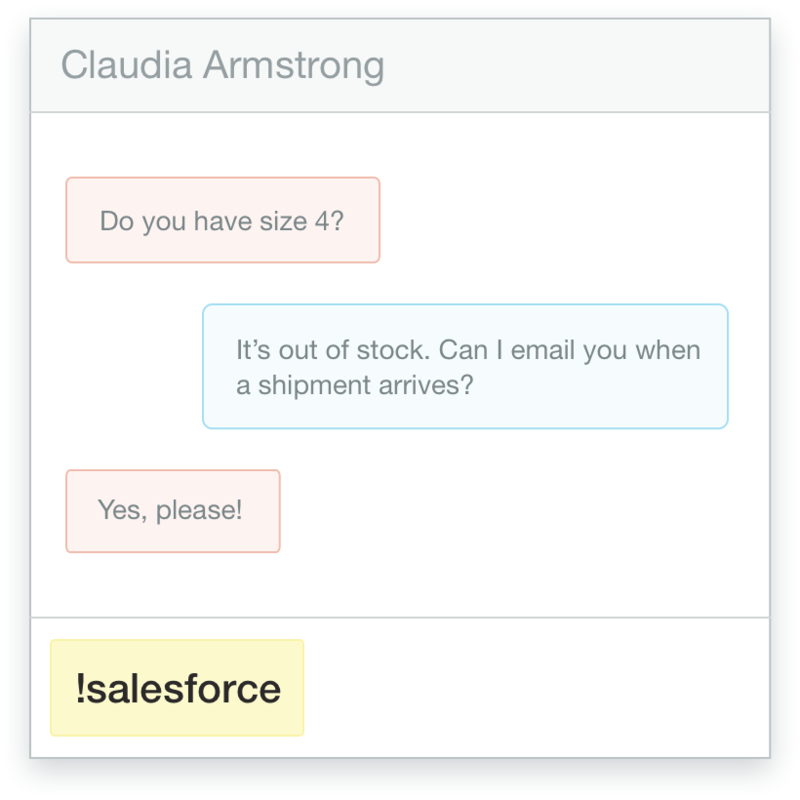 Olark’s live chat integration with Salesforce makes it easy to turn chat conversations into leads in your sales funnel. 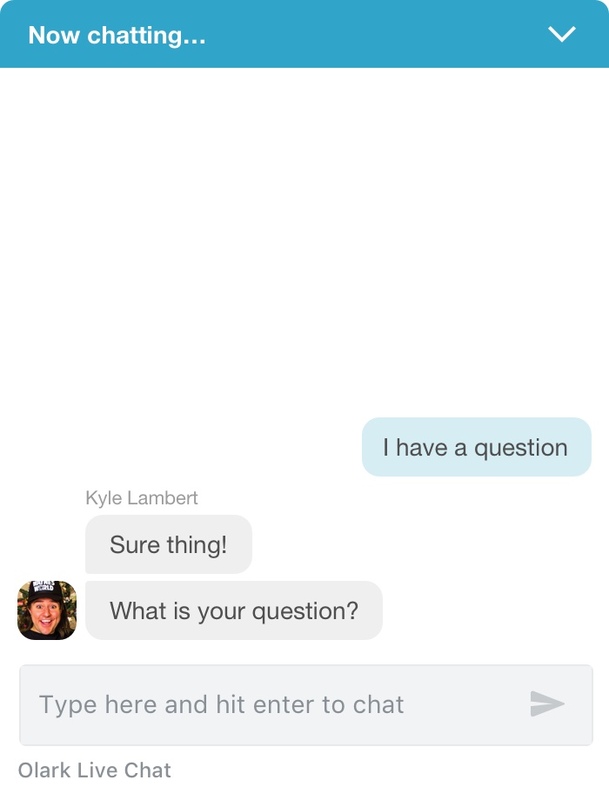 With the Olark and Salesforce integration, your teams will have added context from every live chat conversation. This qualitative data will help your business close more sales, provide better service, and ensure that every customer interaction is actionable. Simply switch the Salesforce integration on and you can automatically or manually send chats to your CRM and qualify them as sales leads. During any Olark chat as an agent, type !salesforce and hit enter. 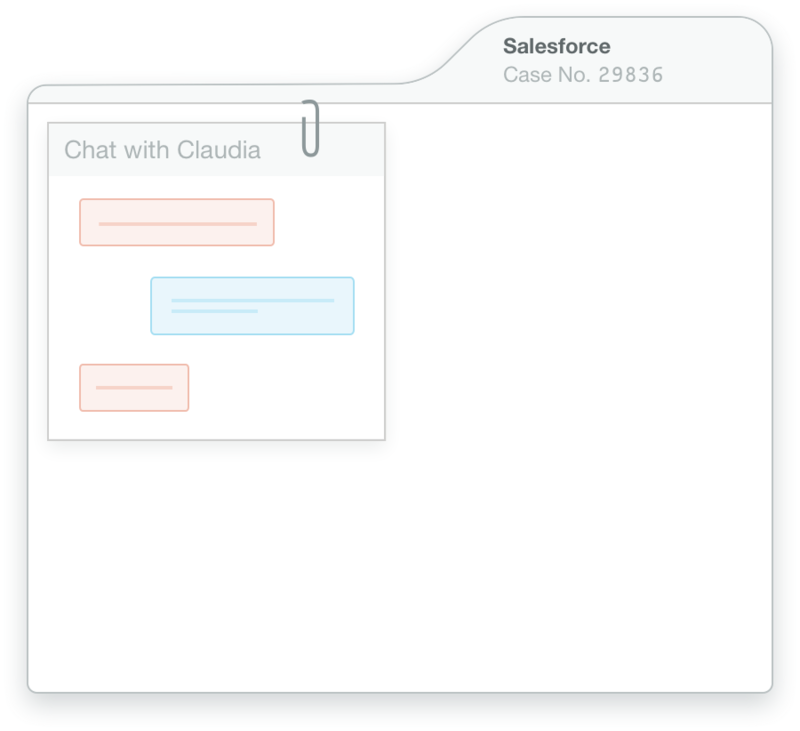 We’ll create a case or lead in Salesforce with your chat attached. Voila! Here's a how-to guide for connecting Olark and Salesforce. More companies rely on Salesforce than any other CRM to build meaningful and fruitful relationships, and connect with their customers across sales, customer service, marketing, communities, apps, analytics, and more. Sell, service, and market smarter with the world’s #1 CRM platform. Ready to turn on the Olark and Salesforce integration?